Healing Bone Broth Recipes teaches readers how to incorporate bone broth into their diets with 100 family-friendly and delicious Paleo and gluten-free recipes. With new research boasting the nutrient-rich properties of bone broth, recipes featuring this base are popping up in restaurants and grocery stores all over the world-even Panera Bread serves broth bowls now. In The Bone Broth Cookbook, readers learn all the delicious and versatile ways to cook at home with bone broth, whether it's for breakfast, lunch or dinner. 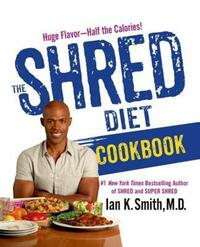 Sample recipes include Sautéed French Green Beans with Toasted Almonds, Savory Oatmeal for Breakfast and Asian Beef with Sweet Potato "Noodles." Sharon Brown is the founder and owner of Real True Foods, a company that makes and sells 100% organic, local and free-range bone broths and soups. She is a certified GAPS Practitioner and also has a restaurant background. 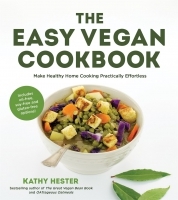 She compiles this expertise into the cookbook in a way that is approachable for readers who may not know much about bone broth. 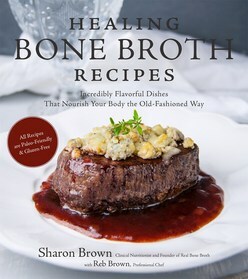 She even gives away the secret recipe for her bestselling packaged bone broths, in case readers want to make their own. Whether you've been eating bone broth your whole life or have never tried it before, the simple recipes in Healing Bone Broth Recipes are sure to bring everyone together over a delicious, healthy meal. Transform your health with simple Paleo and gluten-free recipes utilising the concentrated nutrients of bone broth, a buzzword ingredient for healthy food celebrated by Paleo dieters.